Stream Real Estate is the first developer in Seattle to participate in a local program started by the nonprofit Forterra to mitigate the carbon impacts of construction. The 118 apartments in Stream Uptown began leasing two weeks ago. Under the program, called C3, companies get an estimate of how much carbon they will produce in construction and operations, and Forterra determines how many trees it would take to capture that much carbon. 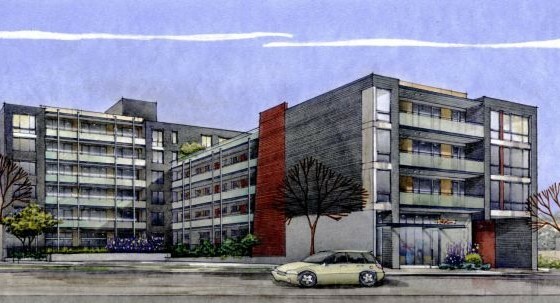 Seattle—Stream Uptown, a 118-unit, Class-A, mid-rise apartment community in Seattle’s Uptown enclave, has begun leasing residences. The announcement was made by Stream Real Estate LLC, a Seattle-based company focused on developing multifamily residential properties in the core of the Emerald City. “As a company, we started with the premise that we would push the envelope with sustainability and environmental responsibility, along with financial viability,” Marc Angelillo, managing member, Stream Real Estate LLC, tells MHN. Stream Belmont was selected as Green Builder Media Home of the Year. © 2016-2017 Stream Real Estate. All Rights Reserved.